Paddlesport Instructor eLearning: This eLearning package is designed to cover a range of syllabus topics relevant to the Paddlesport Instructor. This is also helpful for coaches who are planning to start on the Coach Award pathway as it covers the prior knowledge that is expected. Developing your Coaching Craft eLearning: This eLearning package is designed to support you with your underpinning knowledge and understanding of coach development. It guides you through a ‘plan, do, review, conclude’ process based on your practical coaching. This aims to support you apply your background knowledge in practice and develop your technical/tactical/physical/psychological knowledge of your discipline(s). A great way to take stock prior to embarking on a new qualification. 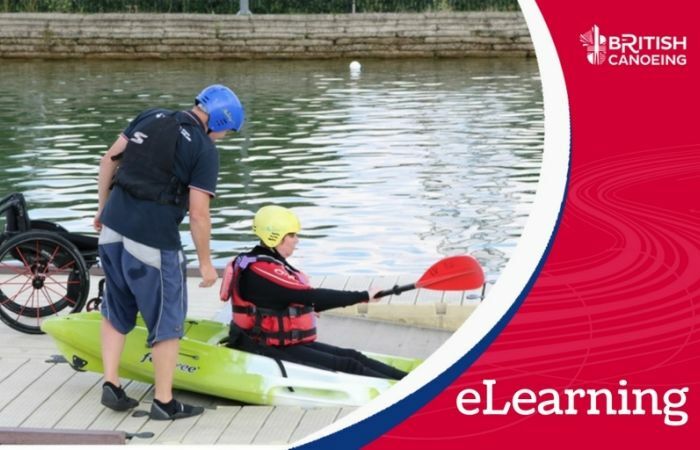 Coach Award eLearning: The British Canoeing Coach Award eLearning package provides a platform to build your knowledge, understanding and confidence in the generic HOW to coach content that underpins good coaching practice and the Coach Award syllabi. This package is available to all coaches who have registered for the Coach Award. We strongly recommend you register early to benefit from this resource.